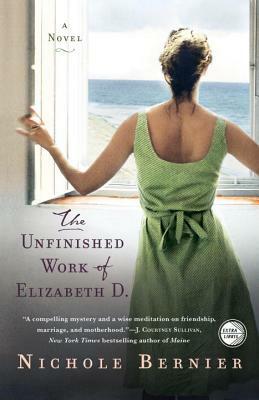 The complicated portrait of Elizabeth—her troubled upbringing, and her route to marriage and motherhood—makes Kate question not just their friendship, but her own deepest beliefs about loyalty and honesty at a period of uncertainty in her own marriage. When an unfamiliar man’s name appears in the pages, Kate realizes the extent of what she didn’t know about her friend, including where she was really going on the day she died. Praise for The Unfinished Work of Elizabeth D.
NICHOLE BERNIER has written for publications including Psychology Today, Salon, Elle, Self, Health, and Men’s Journal. A longtime contributing editor with Conde Nast Traveler, she lives outside Boston with her husband and five children.